There is nothing better than the post- speedwork feeling of accomplishment (unless while doing said speedwork, you discover that your sister, traditionally slower than you, is now faster). Many times, I will go for a slow 45 min run, and feel sort of lazy and worthless afterwards. But after a speedy session, I feel like I am ALIVE, and the high lasts long after my shower. 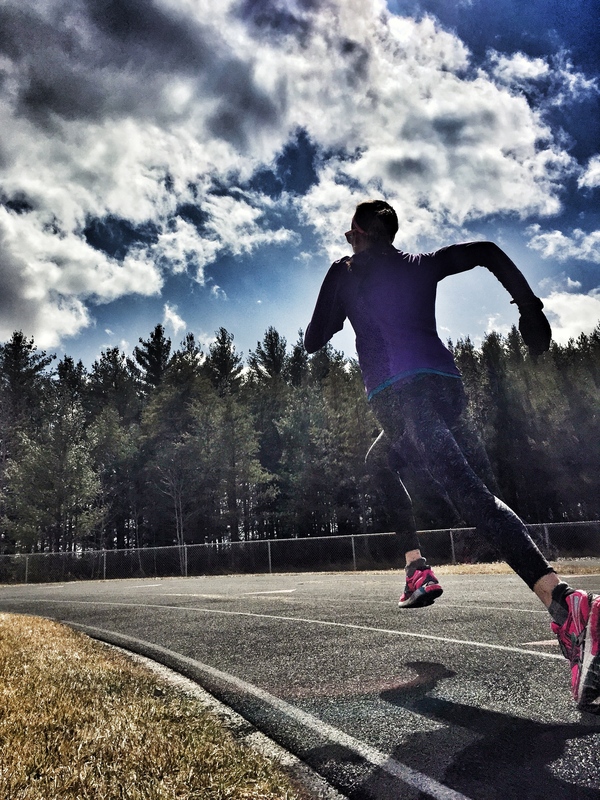 While visiting Michigan, I convinced my sister, who had never tried speedwork, to accompany me to the local track at the school we attended K-12 (with no track at the time, unfortunately). First time trying this, you might only want to do 3 or 4 800s. Over the weeks, build up to 6-10 800s. We started with a 1-mile easy warmup, and then ran 800s as hard as we could, with 2 minutes of cool down in between. To both of our surprise, my sister pulled ahead of me in the first 800 with no problem. The next 2 sets, I inched closer, and in our 4th and final 800, I passed her (thank GOD). Either she was being really nice, knowing it was the last set, or she was tired, or I had actually gotten faster further into the workout. Regardless, it was super fun, and a great workout to share before we went home and binged on Easter candy the rest of the afternoon. You ROCK ! Good job son beating Lyn ster. You ROCK ! Good job on beating Lyn ster.